Ignore eating food like pork and shellfish. Ignore your tattoos because you love getting inked. Just misquote the Bible, and then call me a liar. Ignore keeping prisoners as your slaves. Ignore all the things you don’t like on the scripture’s page. Ignore cutting off your right hand if it offends you. Just misquote the Bible, then behave far worse than I do. Conveniently forget to love your neighbour. Forget the might of God’s great power. Forget that he forgives us all. When you’re cussing me straight to hell. I hope your memory serves you well. All those things you haven’t said – The love you’ve failed to mention. It’s available to all, no matter the sexual orientation. 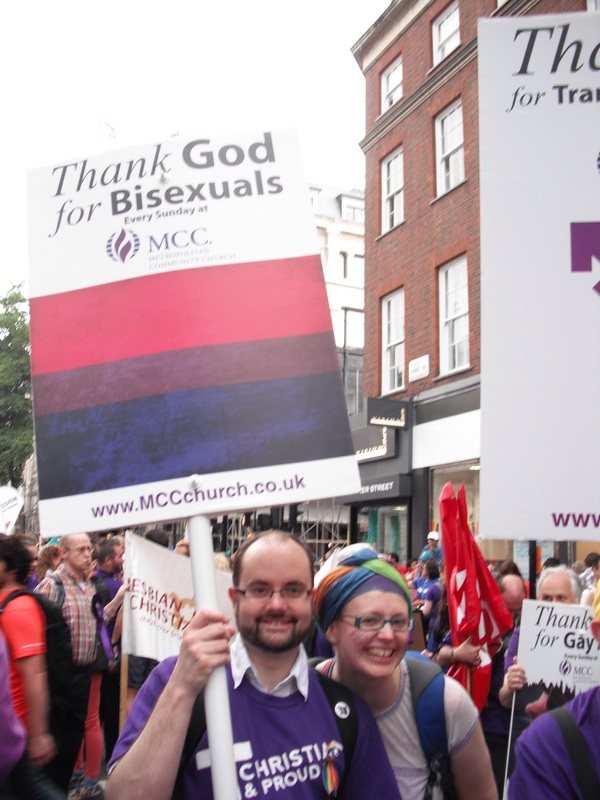 I’m out and proud as a bisexual. I guess that’s enough to make you so hostile. If you love the Bible so much, and want me to heed it. You best take some time out of your day to actually read it. Because David loved Jonathan, he told him when they kissed. And Ruth and Naomi’s love for each other was well and truly epic. But your passages are select I see. Than have love set anyone free. Remember Jesus healed the Centurion’s beloved slave. Remember it was Jesus, whose life for us he gave. Remember God made us all, the queer folks too. We are his children. He loves us. Just as much as you. Looks a bit empty to start with, but the article page is definitely worth a look as it is full of interesting things. They also have a discussion forum and personals. Seems a bit male biased, but I still think it is a good resource. Symon Hill is doing something outstanding. Symon will be stopping off at churches along the way, giving talks and attending worship. I wish him all the best. If he makes it out of North London in one piece, he’ll have my total respect.